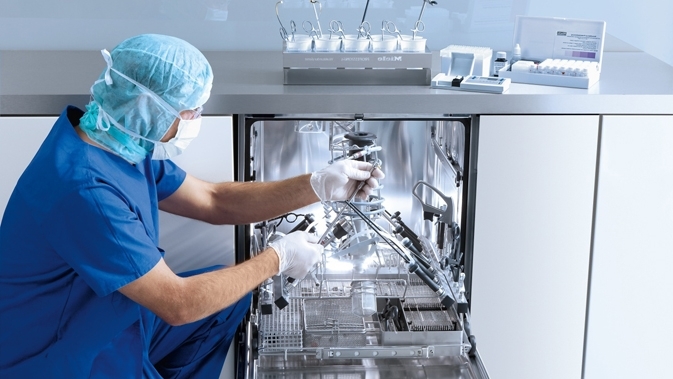 Reliability is the highest priority when it comes to the cleaning, disinfection and sterilization of instruments. Regular testing of the appliance functions therefore guarantees maximum safety. Revalidation equals a new performance qualification As a rule it takes place 12 months after the first validation and is repeated annually. Apart from this cycle, it is particularly necessary if new programmes are set up or process parameters are modified, new chemicals, instruments or loading systems are used or the water quality has changed. In the case of the annual revalidation without a particular trigger, two test batches per appliance and programme with the same or different reference loads and with all the baskets and inserts are tested. The prescribed maintenance should be carried out 4 to 6 weeks at most before a revalidation.